Manufacturer of a wide range of products which include mcb channel, wiring duct, automation project services and pvc channel. We are Manufacturer of DIN Rail. With the assistance of our professionals, we have been able to manufacture and supply a wide range of MCB Channel. 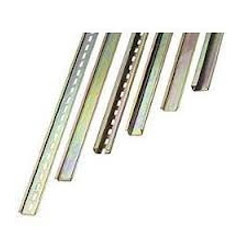 This rail is manufactured by our professionals using supreme grade raw material and latest technology in compliance with international standards. Our valuable clients can avail this DIN rail from us in various specifications at the most affordable price range. Supported by highly experienced professionals, we are providing an excellent range of Wiring Duct. 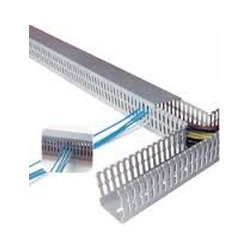 Provided wiring duct is comes in diverse specifications according to the demand of customers. We manufacture this wiring duct by making use of high-grade components and leading technology so as to maintain the set standards. Customers can take this wiring duct from us in a given time frame. 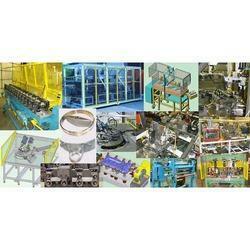 We are one of the leading organizations, engaged in offering a premium quality Automation Project Services. For fulfill the needs of different kinds of automation projects of different industries, these services are efficiently imparted by our expert professionals. For executing service in a given time frame, our experienced professionals are highly dedicated to their profession. Customers can avail this service at affordable rates. We are listed amongst one of the renowned organizations in the domain, engaged in offering PVC Channel. The provided PVC channel is developed by utilizing contemporary technology and prime grade material following the industry defined standard. Offered PVC channel is rigorously tested on a series of parameters so as to deliver a flawless range. We offer this PVC channel in a wide range of specifications.